Oil painting of Bell Rock in the beautiful Red Rock Country of Sedona, Arizona. Prickly Pear Cactus, common to this area of the Coconino National Forest, is featured in the foreground. Bell Rock is considered one of the earth's energy vortexes. 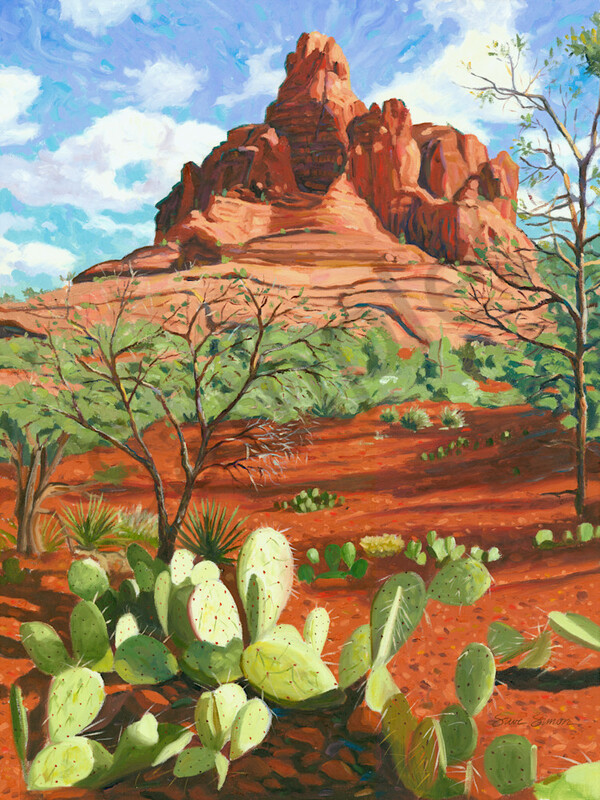 Original oil painting of Bell Rock in the beautiful Red Rock Country of Sedona, Arizona.